Long Beach, CA, March 20th, 2018- Ship & Shore Environmental Inc., a leading U.S. pollution abatement firm, announced today the expansion of its sales force to meet the growing market demand for pollution solutions and the ever-increasing demand by local regulatory agencies. Each of the newest additions are key players in the company’s 2018 sector diversification strategy and will support the rise in activities generated from the company’s recent boom. Ship & Shore Environmental is pleased to announce the appointments of Mike Pawlowski, Gunnar Peterson and Michael Rupp as Senior Sales Managers representing the company in geographical locations across the United States. These gentlemen will assist the company with their ongoing sales efforts in various industries and lead them into new sectors including Oil & Gas, Remediation, Soil Vapor Extraction, and the Sustainability industries. As Senior Sales Engineering Manager at S&SE, Mike Pawlowski brings four decades of experience in sales and engineering of sustainable energy solutions, thermal oxidizers, process, project, maintenance and, plant engineering in commodity chemicals within the power generation, plastics, specialty chemical and consumer product markets. As Senior Technical Sales Manager at S&SE, Gunnar Peterson will be providing unmatched experience in the remediation sector. Throughout his career, Gunnar has been intricately involved with all types of site cleanup goals by integrating the proper treatment solutions to cost effectively and safely treat a broad range of contaminated water, soil and air process streams. He specializes in applications where sites are contaminated with chlorinated or hydrocarbon and co-mingled VOC’s and in-organics. He has not only assisted with equipment remediation solutions but has installed, optimized, upgraded, and repaired a wide range of groundwater treatment systems. As Head of Oxidizer and Aftermarket Sales at S&SE, Michael Rupp brings over two decades of sales and engineering experience in Regenerative Thermal Oxidizers (RTOs) and VOC Concentrator systems. He will educate the industry on our pollution technology and innovative solutions for manufacturers and help expand the international market for S&SE. S&SE’s technologies reduce pollution in safe and controlled environments while increasing operational efficiency, decreasing costs and minimizing environmental effects. Recent growth has drawn in exceptional talent that is sure to take the company into new levels of success. 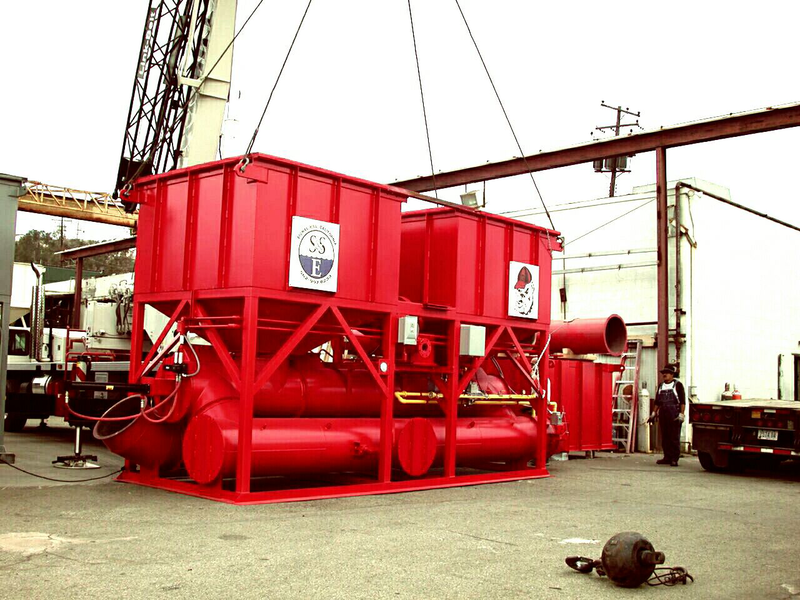 Ship & Shore Environmental, Inc.is a Long Beach, Calif.-based woman-owned, certified business specializing in air pollution capture and control systems for industrial applications. Ship & Shore helps major manufacturers meet Volatile Organic Compounds (VOC) abatement challenges by providing customized energy-efficient air pollution abatement systems for various industries, resulting in improved operational efficiency and tailored “green” solutions. Since 2000, Ship & Shore has been prepared to handle and advise on the full spectrum of environmental needs with its complete array of engineering and manufacturing capabilities and multiple offices around the U.S., Canada, Europe and most recently, China. With over 100 specialized professionals spread throughout the world, the company is dedicated to designing tailored solutions for its energy clients. For more information, visit www.shipandshore.com.